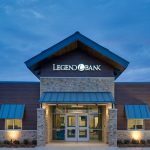 SLA designed the renovations of a vacant bank into a new branch location for Legend Bank. The facility sits near the corner of Fairway and Kell Freeway. 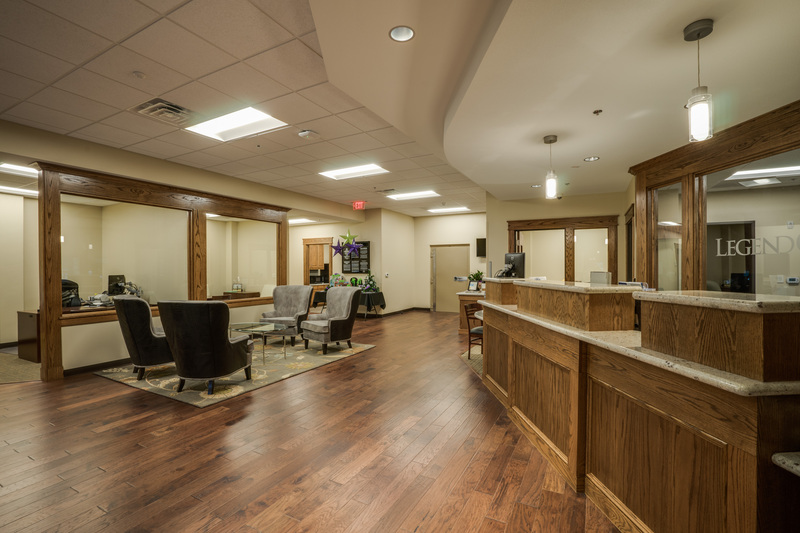 The project consisted of the complete renovation of approximately 2,340sf and included a new addition of approximately 1,400sf. 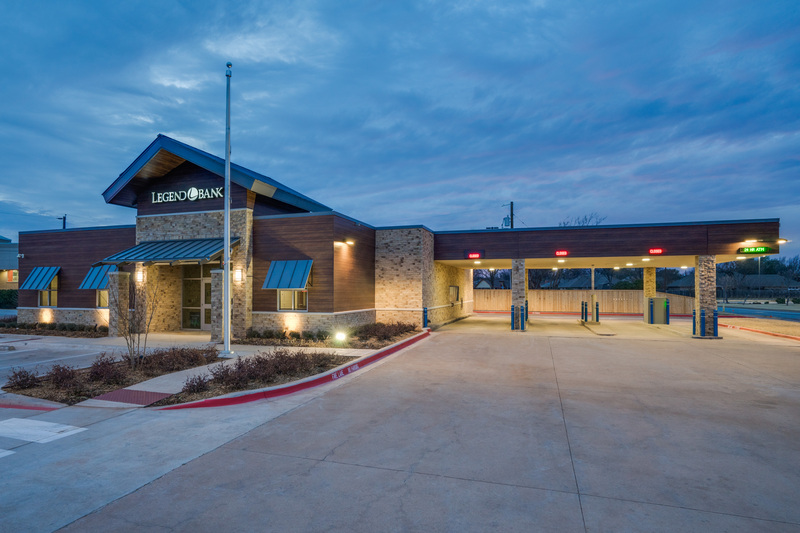 Existing banking equipment was able to be utilized including the tube feeder system at the drive thru and the existing vault. The roof was replaced with a new TPO system. 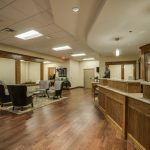 The building also received all new HVAC, lighting, power, security and plumbing systems. 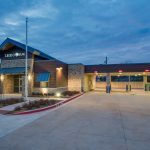 Sitework included the addition of new pavement areas and replacement of selected pavement areas, landscaping, site lighting and signage. The interior space matches the color pallet already established by Legend Bank. 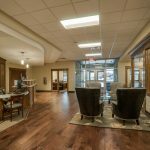 A welcoming, open-space lobby greets patrons of the bank as they approach the teller counter. 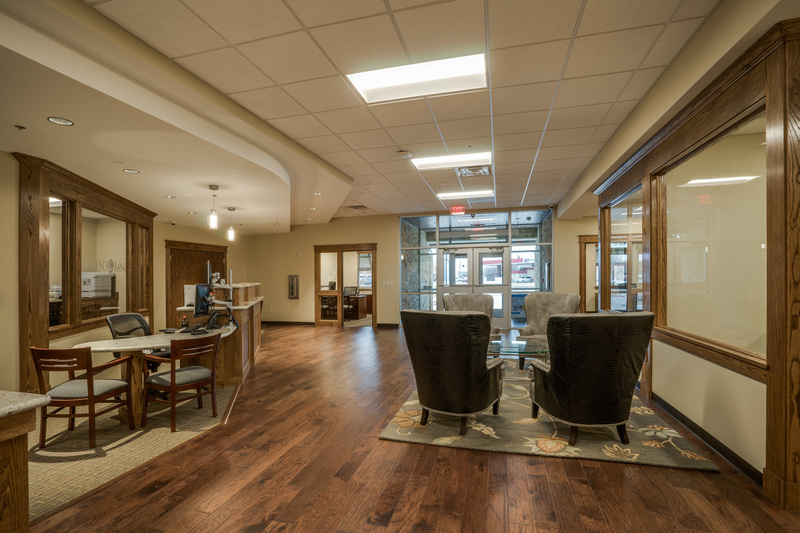 Wood trim and flooring complements the exterior façade. Multiple offices and a conference room were included in the layout of the building which was designed with considerations for a future expansion. The exterior of the building reflects a modern hill country look with ‘wood’ siding and stone veneer. The original bank building form was a square box. A main entrance tower was added to the building in order to add interest and indicate entry. A low-sung canopy with stone columns shades the aluminum storefront entrance inviting members into the building. The rest of the building is clad in low maintenance manufactured stone and aluminum ‘wood-looking’ siding. 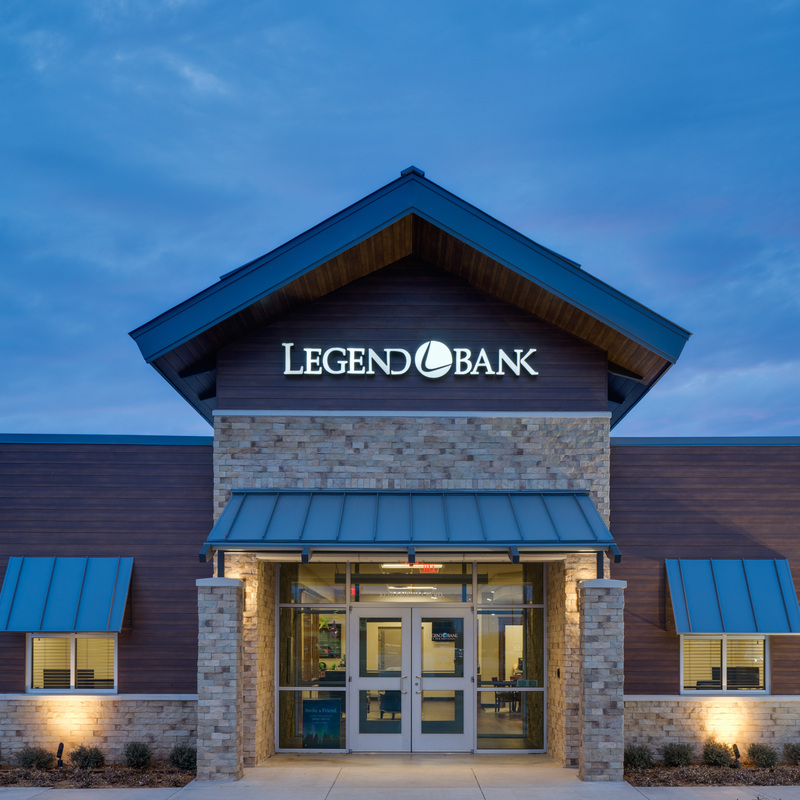 The choice of materials was important to help reduce the bank’s exterior maintenance requirement. Awnings over east facing windows help to eliminate morning glare and add to the hill country look of the building. The existing drive through canopy was re-clad in matching materials to tie it into the new finishes on the building.